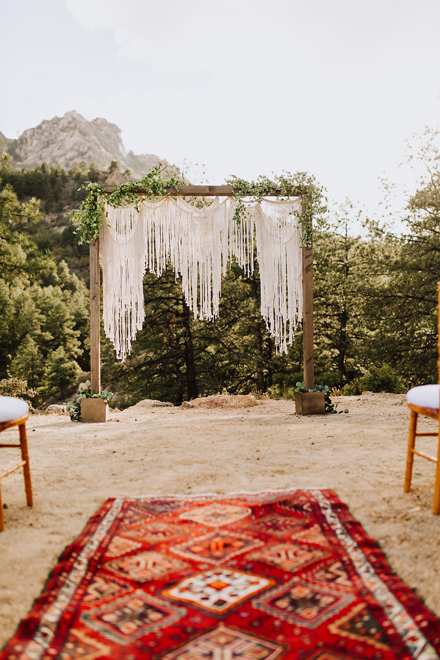 back pain and use of lasix Hualapai Mountain Park, in the beautiful Hualapai Mountains, was the setting for Chanté and Cody’s wedding. 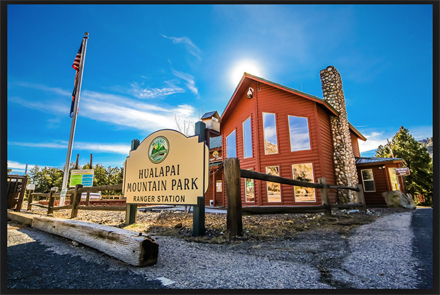 http://cinziamazzamakeup.com/?x=comprare-viagra-generico-200-mg-pagamento-online-a-Torino Hualapai means “People of the tall Pines” in the Hualapai language and the park is part of the Mohave County Parks Department. online pharmacy cialis There are 24 rustic cabins that sleep from two to twelve. Nineteen of those are equipped with beds, tables, gas ranges, refrigerators, heaters, electricity, bathrooms and showers, hot and cold water and most have fireplaces or wood stoves. Each cabin also has a barbecue grill and picnic table outside. 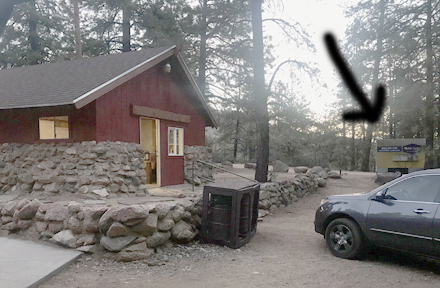 source url The remaining five cabins are called “camping cabins” and have a double-size bunk bed, table, microwave oven and an under-counter refrigerator. The restrooms/showers for the camping cabins are located just across a small road. 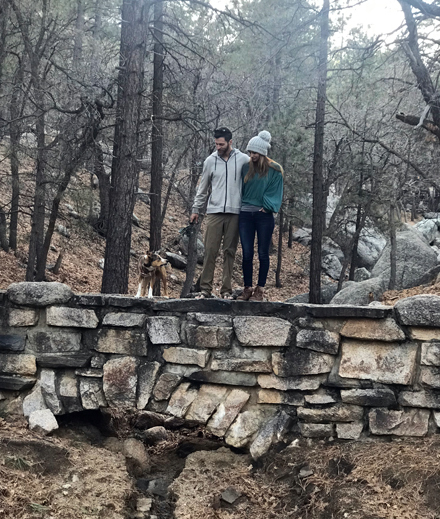 Cody and Chanté visited in November, 2017 and rented all the cabins. All but the one that was already reserved, that is. 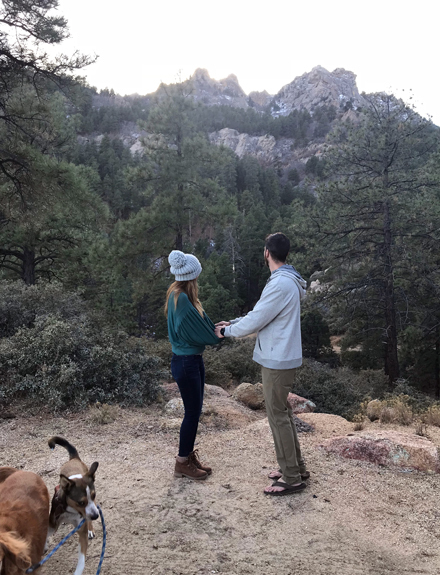 In mid-January, 2018, over the Martin Luther King Jr. weekend, Cody, Chanté, along with Cody’s parents, Paul and Kim, and I visited to get a lay of the land and make a plan for the wedding and reception. Well, honestly, the couple already had a grand vision, they shared it with us and we collectively made a plan on how to execute it. They knew that they wanted the reception to be in front of three of the five camping cabins. The three were on level ground, while the remaining two cabins were down a slight incline. When partying, dancing and alcohol are involved, it’s rather important that level ground is also involved. The first cabin was to be the bar, the middle was for the band and dance floor and the third was my staging cabin for the food, with a buffet dinner set-up directly in front of it. 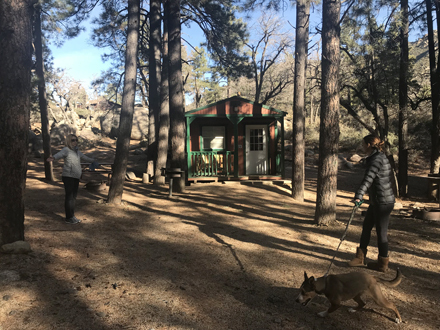 Along with the cabins and camping facilities, the park also has three recreation areas. 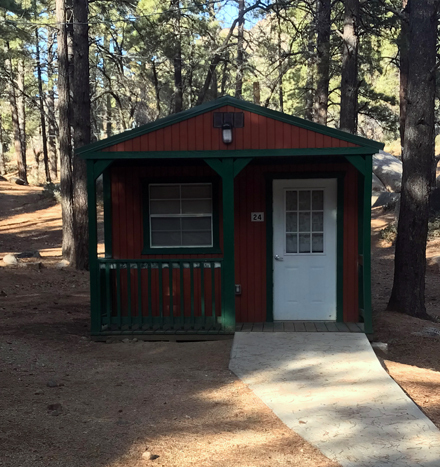 Each has a full kitchen, restroom, playground and a lighted ramada with picnic tables. We had Rec. 2 – Pine Knoll. 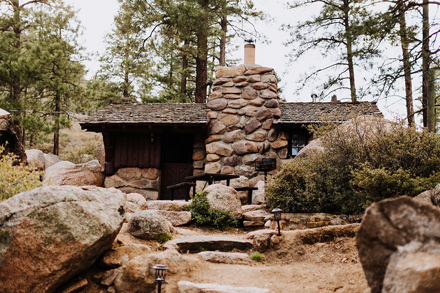 The stone and wood lodge was built in 1983 and has electricity, hot and cold water, a sink, refrigerator, stove-oven, wood burning stove and two tables to use as work area. Rec. 2 was up a steep switchback road from the camping cabins. I can’t even count how many times I drove from the camping cabins up to Rec. 2 and then back down again. 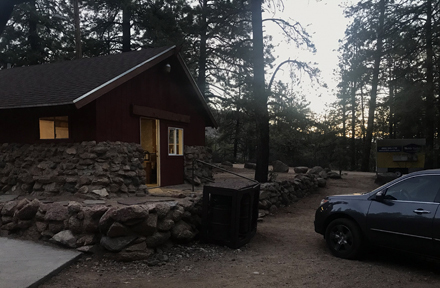 My cabin for the weekend was the fourth of the camping cabins. That will come into play in later descriptions of the wedding weekend. Although, I spent the majority of my time inside Rec. 2. Not a bad place to work for a weekend! That sweet stone and log kitchen was my happy place. Here, I’ve lightened up the original 5:30 AM photo so that you can see a yellow trailer in the background. More on that later too. The fiancés also knew exactly where they wanted the ceremony to take place. This beautiful site was just above Rec. 2. Now you too have a lay of the land. I can’t wait to share more!